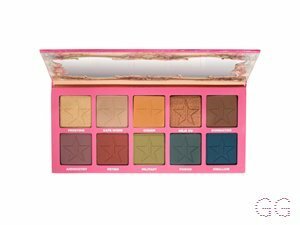 How many stars do you give Blue Blood Eyeshadow Palette by Jeffree Star? Displayed in an opulent mirrored case, Blue Blood Eyeshadow Palette contains a variety of cool-toned matte and metallic shades. 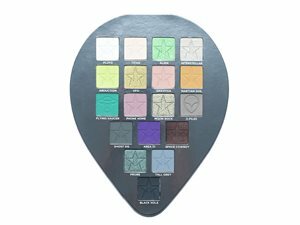 Highly-pigmented and effortlessly blendable, this striking palette can be used to create a range of icy, wearable looks. This palette is amazing. I would definitely recommend to someone who wears bold eyeshadow, but it’s probably not for you if you are very subtle with eyeshadow. I am in my teens with normal, light tone skin and unknown eyes. My hair is unknown, unknown with unknown texture. 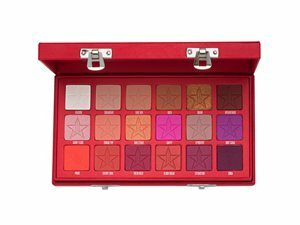 It takes a lot to excite me for an eyeshadow palette, but when I saw this one for the first time I HAD to have it. I love blue and this palette feels like it was made for me. As I don't have Alien or Blood Sugar I hadn't tried this formula before so I wasn't sure how it would be but I'm blown away. Jeffree is known for his releases being nothing if not close to perfection and that is certainly the case here. The mattes are Uber pigmented, soft and pick up on the brush very easily. They're easy to blend, easy to build and straight up vibrant. The shimmers make me weak, I'm obsessed with using Cullinan, icy white shimmer, as a highlight because it isn't chunky or overly glittery. The shade Entitled is insane and again, I'm obsessed. It's safe to say I'm obsessed with the whole palette. 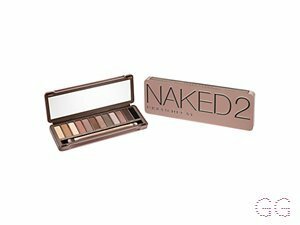 There are a few not-so-daring shades in the palette such as a gold shimmer, some nudes and a couple of peachy tones amongst the blue toned dark shades. 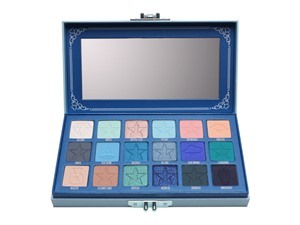 So you could use the palette for everyday wear too, although it is really about those blues. 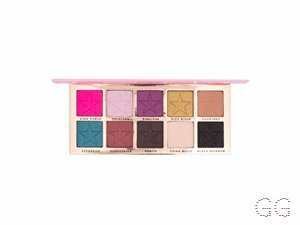 This palette is immense, it's bold and exciting and I do a little dance everytime I use it. If you're a lover of blues and love to rock a bold look then this is the perfect palette for you. bunnymoonstone, Frantastic91 and Peapea and 4 others like this. Lovely shades and great pigmentation. The only downside is there is some fall out which can make a few of the shades difficult to work with so would not use this on an everyday basis. 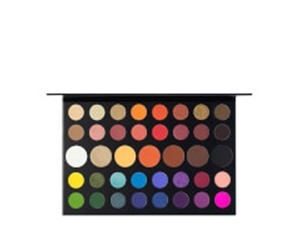 The pigment and finished looks do make it worth the little bit more time that is needed when using this palette though. Lickle-Boo, Frantastic91 and Peapea and 3 others like this. ✨Jeffree has done it again!! 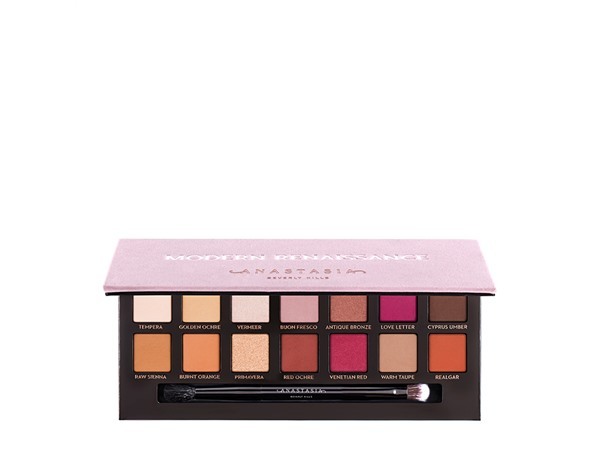 This palette literally gives me LIFE. I have green eyes so I was a bit skeptical about the wearability of the shades, but I am proof you can wear blue eyeshadow and have green eyes... I posted a look about a week ago and the shades look really stunning even with green eyes that haven’t got a hint of blue. The pigment is very rich and strong and only a few dabs are needed to coat an entire eyelid.  The formula is really buttery and apply very cleanly and smoothly. The packaging is out of this world phenomenal and looks amazing on my dressing table. I’ve been so freaking excited for this palette to drop and I’m made up I’ve managed to get my hands on it! Absolutely cannot wait for his Concealer’s to launch!